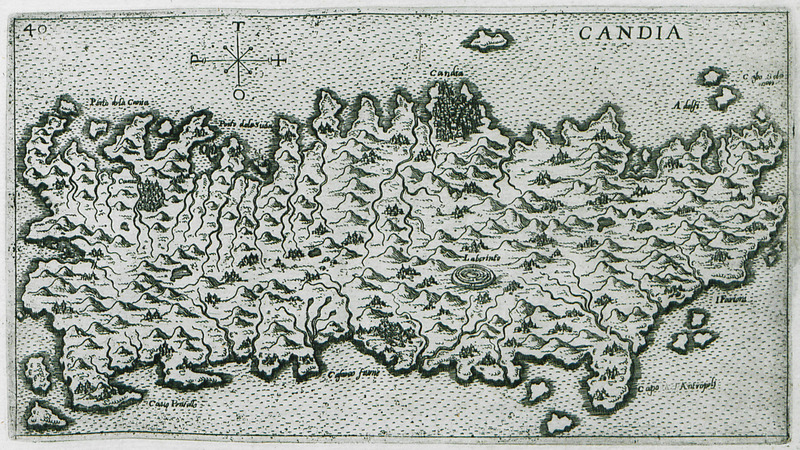 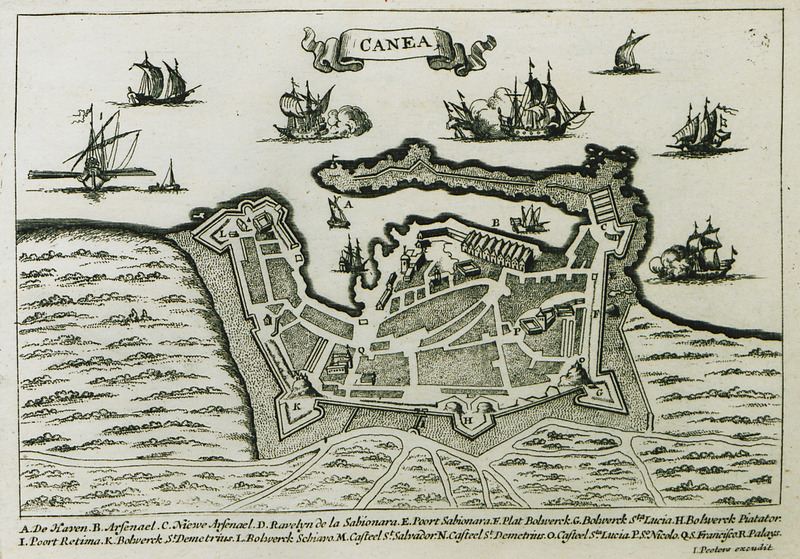 Map of the city and walls of Chania. 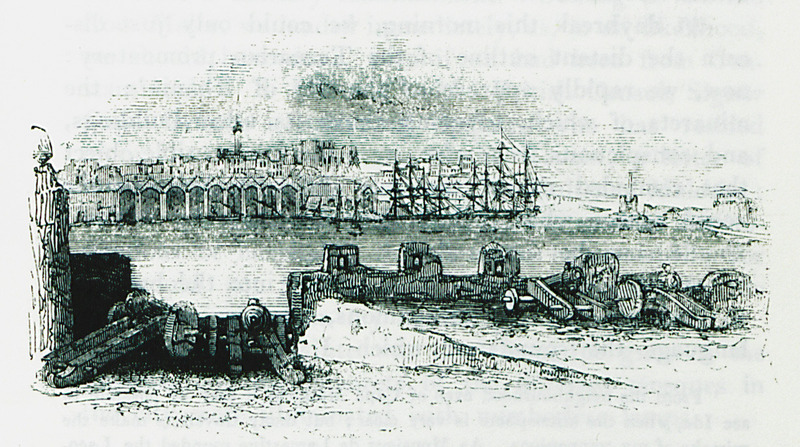 View of the port of Chania. 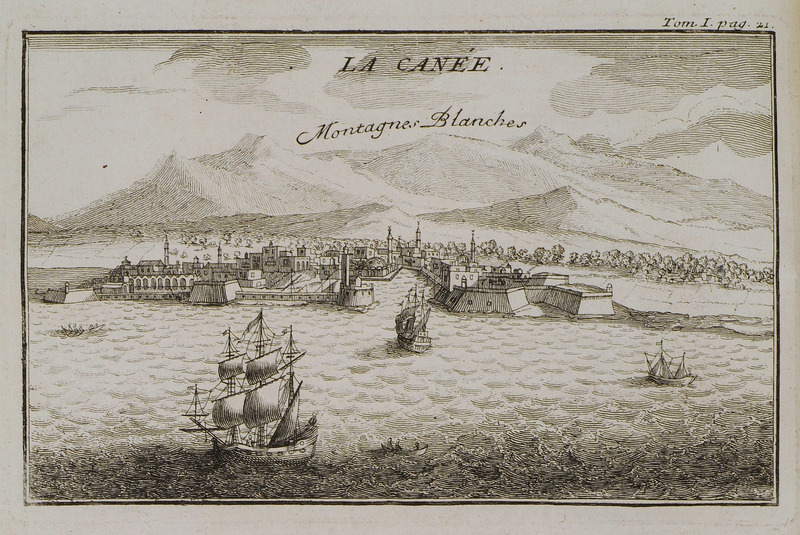 View of the castle of Chania.